Finally getting back into the swing of things here in Craig MT; personally and fishing wise. With all the college kiddos’ back on campus the Craig shop called in the Calvary, so for the last few weeks yours truly has been kickin’ it in the town of two bars and too many trout. The primary reasons I’ve failed to provide you fine folks with the most up to date fishing info as the summer crowds subside and the fall fishing starts to pick up. My deepest apologies. Now that we’ve got all that out-of-the-way, let’s get down to business, you didn’t come to read about the awesome times I’ve been having at Uncle Joes Bar (I hope). Earlier this month, I had the pleasure of being interviewed by my long time friend, Tom Rosenbauer, for his awesome podcasts he hosts and produces, The Orvis Fly Fishing Guide Podcast. 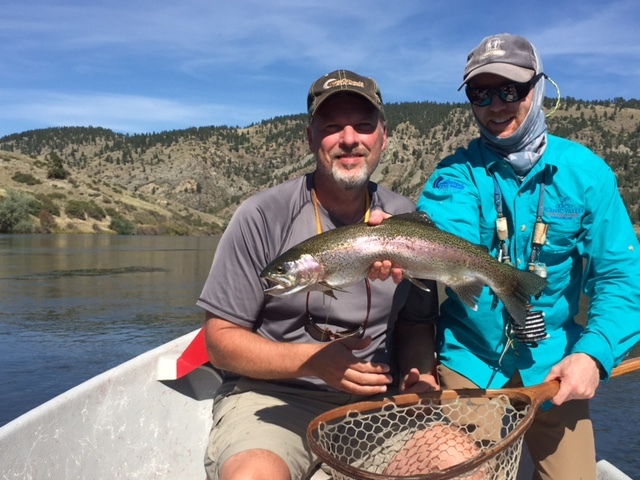 Tom and I “sat down” to talk about fishing the MO and other waters in Montana in the busy and “dog days” of summer. 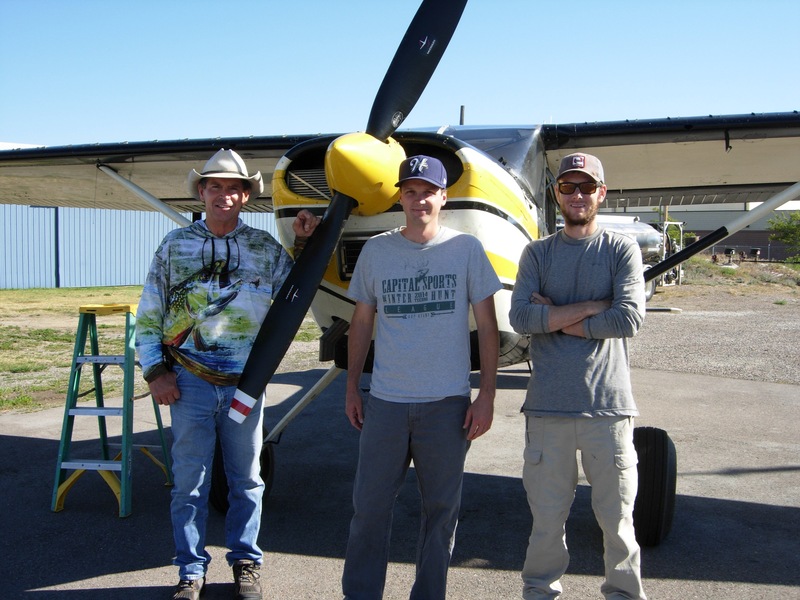 It was a lot of fun talking about the subjects I love -fly fishing, the MO, “other” waters and shop stuff. Tom is a great interviewer and I think we touched on subjects that many people will find informative and helpful in their own adventures to the MO and beyond. Check out this and the other podcasts that Tom produces. I think you’ll find Tom as legit as they get as a fly angler. It’s easy to subscribe to his podcast in iTunes -Orvis Fly Fishing Guide Podcast. 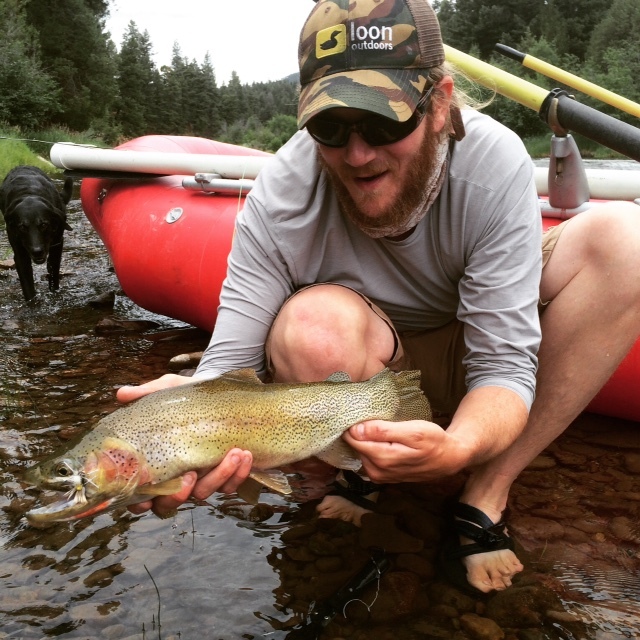 You can also listen to single episodes on feedburner -Orvis Fly Fishing Guide Podcast. Updates from the F.W.P Offices concerning several rivers in Central and Western Montana. Some rivers dropping off the list, several being added. Here’s the most up to date list of rivers under hoot owl from Fish Wildlife & Parks. Rivers listed in BOLD have just been added and the restrictions are in effect starting TODAY, which still means No Fishing From 2 p.m to Midnight…. However F.W.P released a statement this morning regarding a few rivers in Central Montana; longer nights, cooler air temperatures and some much-needed rain have brought down the water temperature of several southwest Montana river systems. 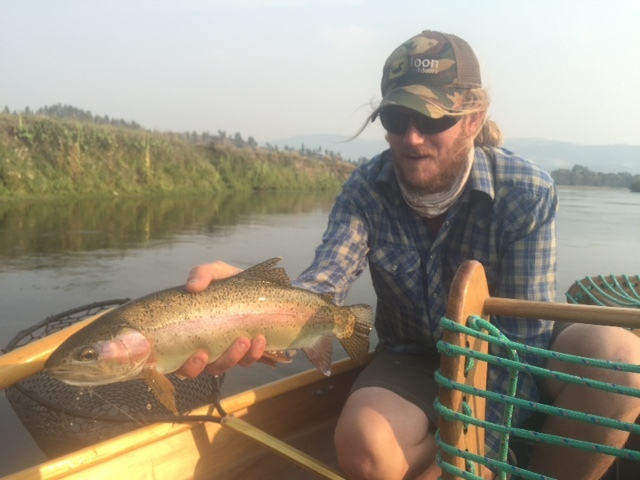 Therefore, Montana Fish, Wildlife & Parks has lifted the angling restrictions on the Beaverhead, Big Hole, and Jefferson rivers effective Thursday.